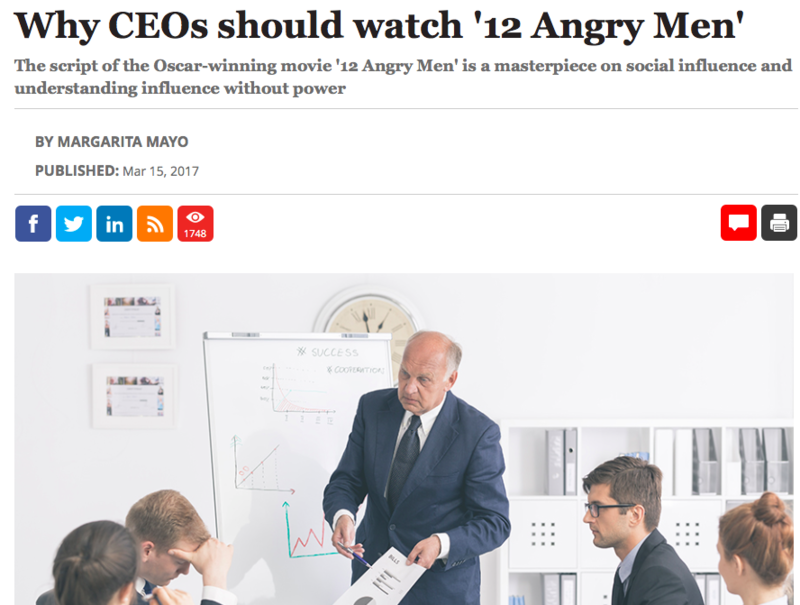 My blog post on why CEOs should watch ’12 Angry Men’, is now featured in the Thought Leadership series on Forbes India. The Thought Leadership series include stories that provide deep insights into current issues and trends surrounding leadership and management. Other hosted authors in the series, come from a wide range of leading business schools in Europe like ESMT, IMD and INSEAD. To read the article click here. Staying Authentic in Leadership and Life. How leaders strive for success, excellence and constant renewal, whilst remaining true to one’s self.